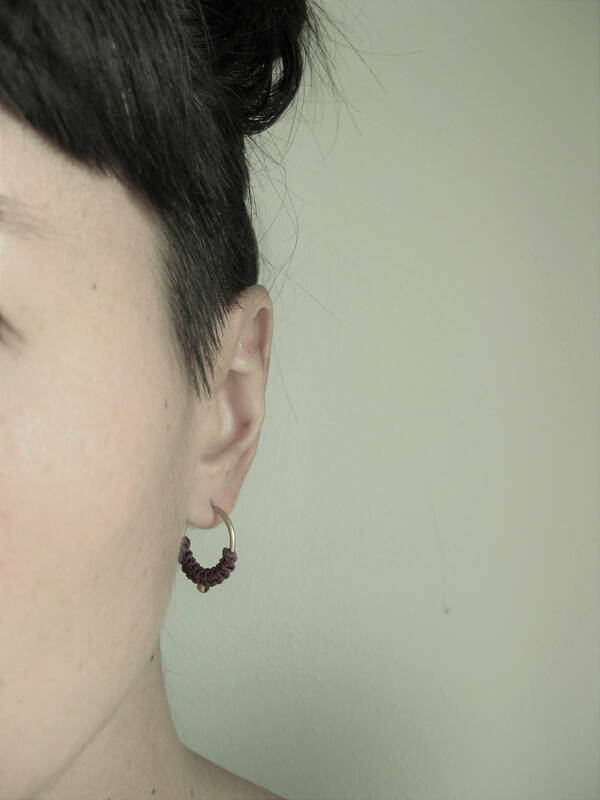 Iara . 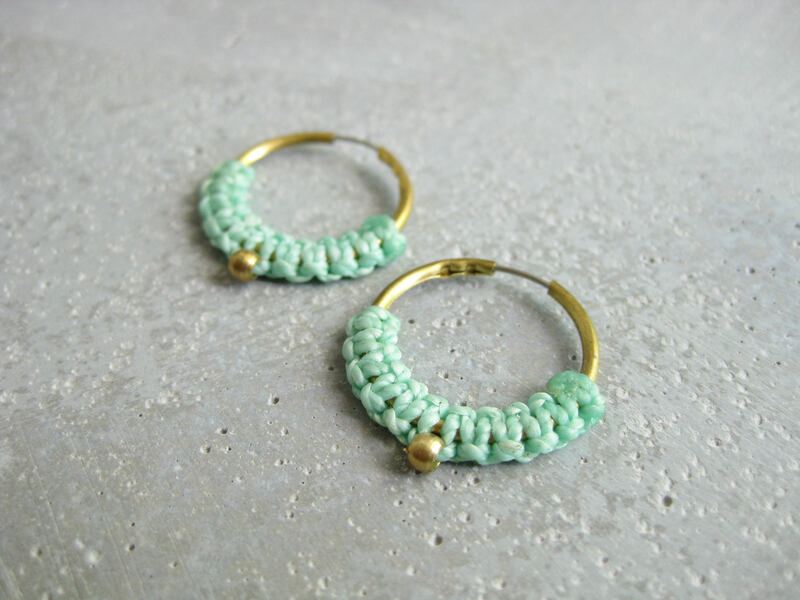 Dainty Fiber & Brass Hoop Earrings . 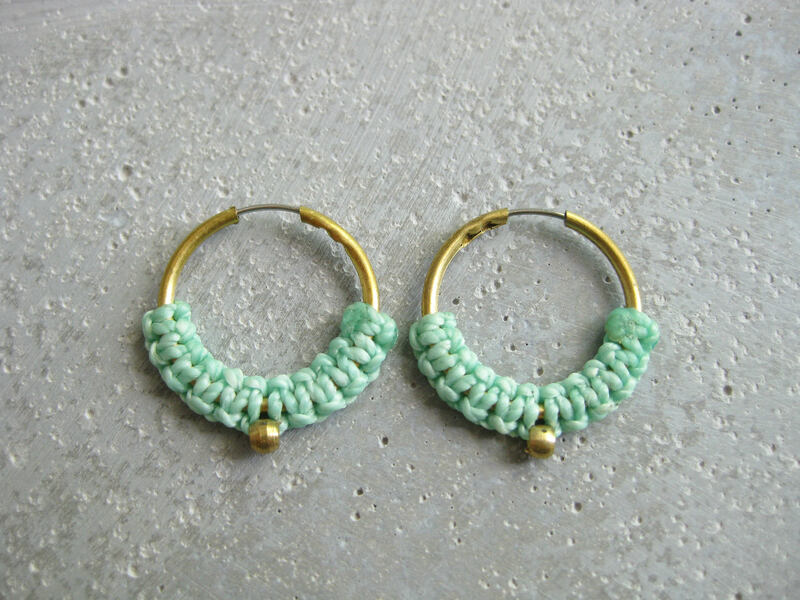 © Design by .. raïz ..
Small macrame fiber hoop earrings in aqua turquoise and gold tone (brass). 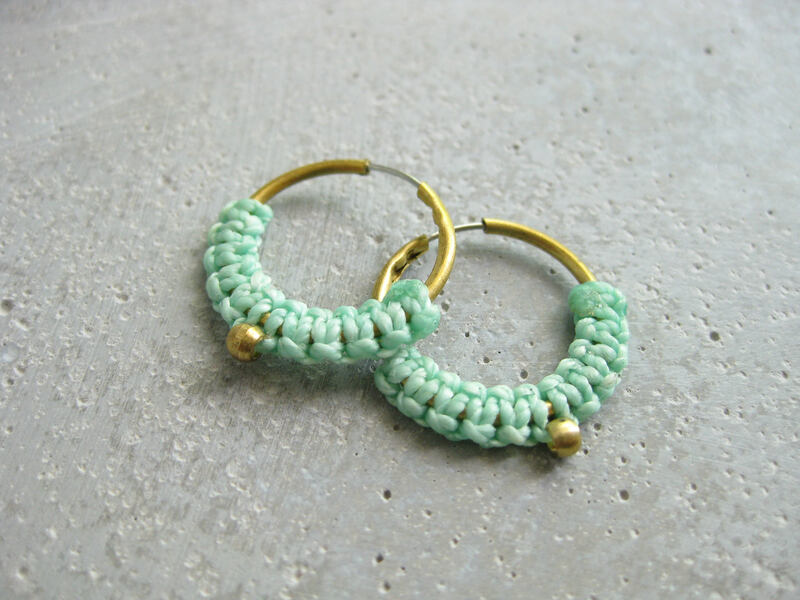 A dainty complement to any outfit from casual to chic! 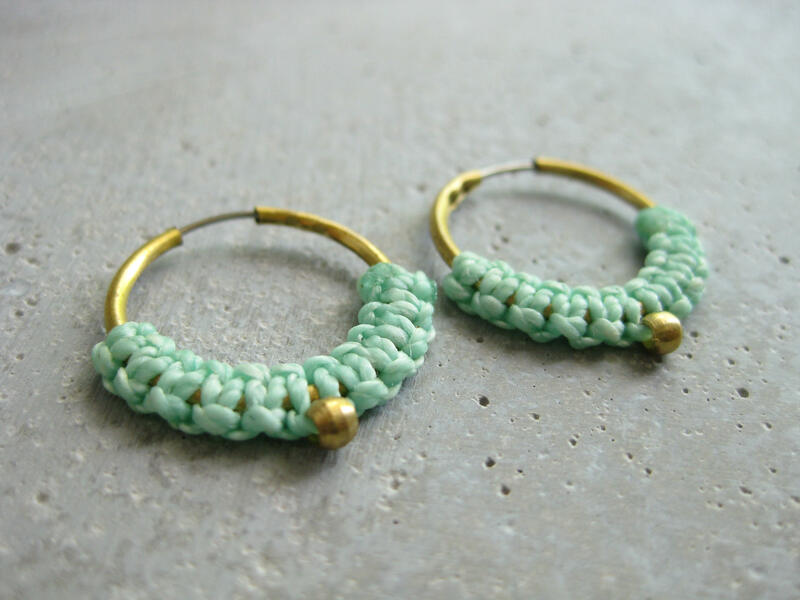 These hoops were made .one knot at a time. 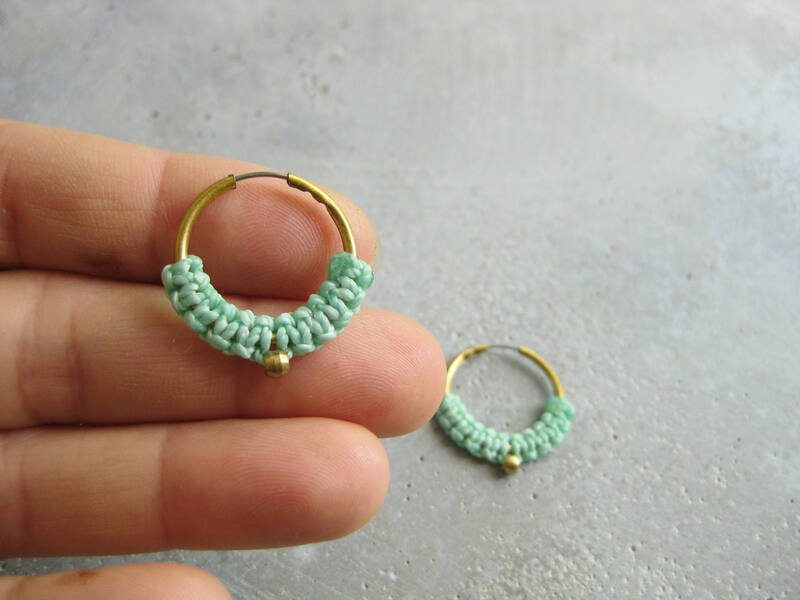 by micro macrame technique using high quality strings: no fading, no fraying.